In this collection of essays, Lambda Literary Award-winning writer and longtime activist and performance artist Leah Lakshmi Piepzna-Samarasinha explores the politics and realities of disability justice, a movement that centers the lives and leadership of sick and disabled queer, trans, Black, and brown people, with knowledge and gifts for all. 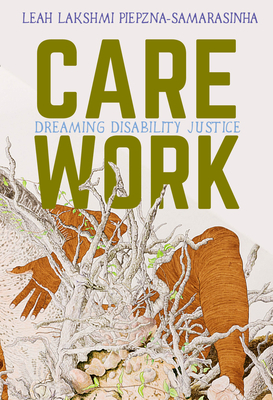 Care Work is a mapping of access as radical love, a celebration of the work that sick and disabled queer/people of color are doing to find each other and to build power and community, and a tool kit for everyone who wants to build radically resilient, sustainable communities of liberation where no one is left behind. Powerful and passionate, Care Work is a crucial and necessary call to arms. Leah Lakshmi Piepzna-Samarasinha is the Lambda Literary Award-winning author of the non-fiction books Dirty River: A Queer Femme of Color Dreaming Her Way Home and Consensual Genocide, and the poetry books Bodymap and Love Cake, and is the co-editor of The Revolution Starts at Home. A lead artist with disability justice performance collective Sins Invalid and co-founder of queer and trans people of color performance troupe Mangos With Chili, she performs and teaches across North America.